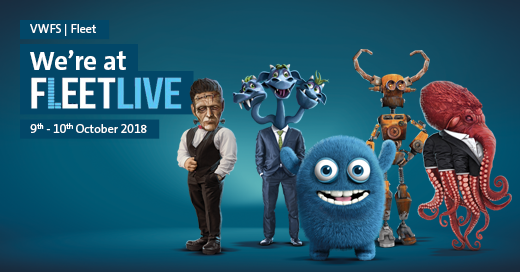 The four monsters that keep fleet managers awake at night, as well as the good monster Neme, the Nemesis of nightmares, will be making an appearance on the Volkwagen Financial Services Stand at Fleet Live. and the so-called Grey Fleet Ghost - a monster that generates out of hours worries about vehicles. VWFS has given each of these worries a monster names; and delegates who tweet or post a selfie taken with one of the monsters can enter a competition to win a high-speed track day at Silverstone in a Porsche.